The World Series of Poker Circuit is back at Bicycle Casino in March, padded out by the Bike’s own Mega Millions series. There are a number of interesting items on the docket, apart from what is usually one of the largest WSOPC Main Events of the year (starting 8 March) and the Mega Millions itself, with 11 starting days and buyins ranging from $160 to $4,300. First off is the $100K GTD HORSE tournament running from 10–16 March. There are five starting flights (two at $240 and three at $350), and you can also enter directly into Day 2 for $1,700. At the lower-level buyin, you get 10K chips and 10% of the field makes it to Day 2. Pick the higher number and you get 15K in chips and 15% of the field gets through. If you make it to Day 2, you get $450; make it more than once and stacks taken out of play get an extra $1,350. (Entering into Day 2 directly gets you 100K in chips). Second is the plan for 8pm single table Mega Millions satellites with no rake. All of your $430 buyin goes to the prize pool, and if you win you have direct entry into Day 2 of Mega Millions. $3000 of the Day 2 buyin does go to rake, but you don’t pay double rake on both the tournament and satellite. Only one per night and they’re going to be first-come-first-served. Third, there are four Survivor tournaments with payouts between $3K and $10K. These could have been run as satellites, but they’re just my favorite form of tournament with a minimum of 820% ROI. You’re not going to get that in most tournament. Lucky Chances Casino south of San Francisco has an ad in the 3 January edition of Card Player for a 28 January tournament with $20K GTD for first place but there’s no info on what the buyin is. A similar tournament that ran in November had a $350 buyin. Mostly quiet until the new year begins, but there were a couple players whi made some moves. Marvin Smith from Nampa, Idaho had one Hendon Mob cash on his record at the start of December. By the end of the year he had five—all of them during the Venetian New Year’s Extravaganza. He placed 38th in Event #3 on the 22nd, then was runner-up in Event #7 on Christmas Eve. He made the final table of the 95-player Boxing Day Bounty, then grabbed first place in a field of 117 two days later in another bounty event. Another Idahoan, Michael Stewart from Boise, won Event #1 at the Venetian, beating out 251 others. 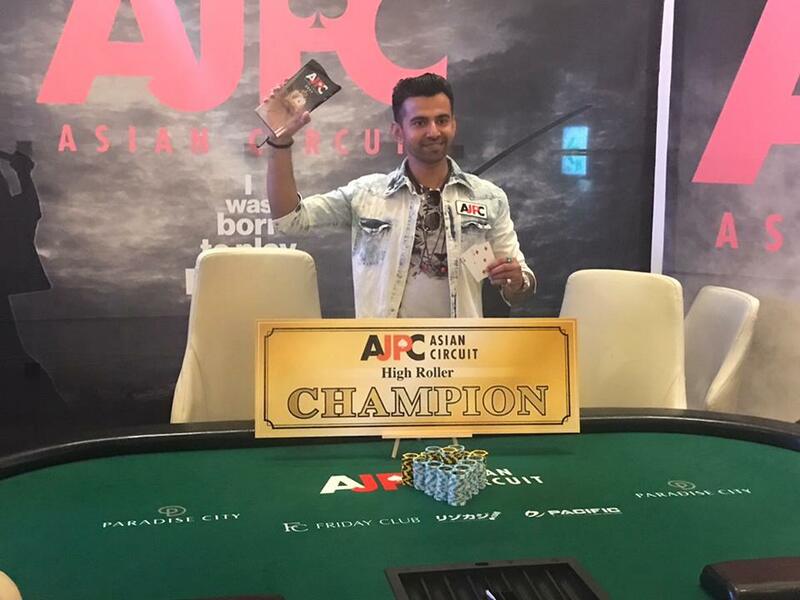 It was four-and-a-half years since Sunil Aggarwal of Portland last had a recorded Hendon Mob cash, but he took down the AJPC High Roller in Inchon, South Korea in the middle of the month, beating 25 others in the KRW5.5M buyin event. If you’re out on the east side of the state and hankering for some poker, the Ontario Poker Room has their monthly schedule posted on their web site. It says they’ve got a $20K GTD $215 buyin tournament on Saturday at 1pm, and a Team Tournament coming up on the 20th, on top of their regular schedule. After not playing real poker since mid-December, my last foray of the year was to the $10K GTD at Final Table last Friday night. I didn’t get there until about 7:30. I was down a bit after a bad call, got up to starting stack plus a little, did the addon at break, then ran a bluff on the last two streets with 5x5x in the big blind on a board of JxQx4xTx6x that at least gave the original raiser with AxTx and twice my stack at least a little bit of a pause before he called the last bet. After that, I headed over to Room 52 for some $0.50/$1 shootout action and was doing reasonably well until Drew and Alan, both from the old Portland Players Club days, started running the table. The New Year started off a bit better. I signed up for the Ignition Casino Thousandaire Maker on New Year’s Day, and while I was waiting for it to start, I joined a $15 Jackpot Sit & Go (a 3-person tournament winner-takes-all tournament), and when it spun up the prize pool (which range from $30 to $18,000 for that buyin), it came out at $75. 28 hands later I’d profited $60 for the first score of 2018. That was good, because by the time it ended the Thousandaire Maker was under way, and it didn’t go as well. I went too far out on a draw with a flush draw and bottom pair, and by the river I was down to 15bb. I managed to last another 20 minutes and it looked like I might be about to double up back into contention when I shoved 10bb with A♦9♣ over a raise and got called by A♣3♦ but the trey paired on the flop and that was the end of that. So I jumped into a 6-Max that started before the Thousandaire Maker, with the starting stack down to 25bb, was down to 10bb in 15 minutes, then got an incredible double up from a player who called my bottom-pair with an ace all-in on the turn with ten-high and a gut shot to a king-high straight. After that I went on a little bit of a rampage, that was brought to a bitter halt when I bubbled the final table with K♦K♣ cracked by Q♦A♥ making a wheel straight on the river. Still, The year was off to a profitable start with 37% ROI. There are three more Wednesday 1pm satellites for the Tulalip Poker Pow Wow (including today’s). The satellites are $60, with 1 out of 10 entries winning a seat into the Main Event, with an extra seat added to each tournament. Saturday is the first event of the series, a $120 buyin $10K GTD, with a $20K on Sunday ($240 buyin with $50 bounties). The weekend events start at 11am. Monday is a $7500 GTD Limit Omaha 8, with $10K PLO on Tuesday (both weekday events begin at 1pm and have $175 buyin). The satellite is Wednesday, then Thursday is a 4-Game Mix ($175 buyin) with $7500 GTD: PLO, Pot Limit Hold’em, PLO8, and PL Hol’em Hi-Lo, if you can believe it. The $50K GTD ($330 buyin) has entry days on Friday (1pm) and Saturday (11am) with Day 2 on Sunday. A week from Monday (Martin Luther King Day) is a 2-Game Mix featuring PLO8 and PL 5 Card Holdout (discussed here a couple months ago). The Venetian New Year’s Extravaganza ends Sunday. Thursday through Saturday are entry days for a $150K GTD tournament with just a $250 buyin. There’s a $400 buyin Seniors tournament on Thursday at 11am with a $25K GTD, and one or two other events each day through the end apart from the big tournament. The Gardens Poker Championships has a Limit Big O/Stud 8 tournament Thursday at noon (structure sheet here), with a buyin of $340. Friday at 4pm is a $175 (with $100 addon) tournament with $100K GTD, there are according to the structure sheet, this is a one-day tournament. Sunday is a progressive bounty tournament ($175 buyin with $100 addon) where the bounty chips are worth $50 until players are one table from the money, after which point each bounty chip is worth $100. This system seems a little like it’s rife for cheating, with players holding bounty chips passing them to friends still in the money to reap an extra $50, but I suppose if they pay out the bounties right away it could work. Heartland Poker Tour is at Ameristar East Chicago Thursday, with a $200K GTD opening event (starting days 4–6 January at 2pm, with just a $350 buyin. They’re also running an 8-Max 7-Game Mix event on Sunday (HORSE, PLO, NLHE) with a $200 buyin. Los Angeles Poker Classic 25 opens Tuesday at Commerce Casino in Los Angeles, spanning nearly two months with 67 tournaments. There’s a $1M GTD Kickoff tournament, with a $350 buyin and six days of entry flights. The Venetian January Weekend Extravaganza runs 16–21 January, with five flights for a $250 buyin $250K GTD tournament at its backbone.